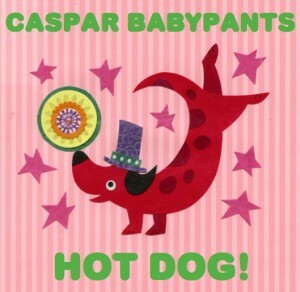 Chris Ballew’s 5th album as Caspar Babypants will be officially out on April 17, 2012. New Caspar Babypants album is called “Hot Dog!” and it has 19 tracks. Featuring quests Rachel Flotard (from the Seattle rock band Visqueen), Tad Hutchison (The Young Fresh Fellow, Chris & Tad…), “Autumn The Violinist”, Mark Klebeck, and of course Fredrick Babyshirt, and Ronald Babyshoes. Album cover art is done once again by Kate Endle. Support this Pusabase and buy your health products from iHerb.com, and get a 5 dollar discount (or $10! from orders over $40) from your first order by using coupon YUY952 – Try it, love it, share it.